Rowan Court in Kirkby Lonsdale, Cumbria sleeps 6 people. Rowan Court in Kirkby Lonsdale is a terraced cottage set over three floors and is found in the pretty village of Kirkby Lonsdale, a popular market town in South Lakeland. Bordering Lancashire, Yorkshire and Cumbria, the property offers easy access to both the Lake District and Yorkshire Dales National Parks and the scenic Morecambe Bay coast. Kirkby Lonsdale sits on the River Lune, and John Ruskin, the renowned art critic, poet and prominent social thinker of the Victorian age, referred to the town as having one of the loveliest views in England. The vista from St Mary’s Church, close to The Old Weigh House, was painted by JMW Turner and is now known as Ruskin’s View. The word ‘Kirkby’ is Scandinavian for ’Settlement with a church’. Kirkby Lonsdale offers a broad range of independent shops, charming tea rooms, high quality restaurants and pubs within 100 yards of the property. There is a beach 13 miles from Rowan Court in Kirkby Lonsdale. With the shop, pub and restaurant 100 yards from Rowan Court. Living room: With gas fire and 40 Freeview Smart TV. Bedroom 3: With king-size bed, beams and en-suite with bath, shower attachment, toilet and heated towel rail. Gas central heating, gas, electricity, bed linen, towels and Wi-Fi included. Travel cot and high chair. Garage with tumble dryer. Small enclosed garden with patio and garden furniture. Bike store. Garage parking for 1 car; private parking for 1 car. No smoking. Holidays at Rowan Court run from Friday to Friday. Pets allowed at Rowan Court. For a better idea of where Rowan Court is, you can see Rowan Court on the map below. Rowan Court is in Cumbria; should you be on the lookout for a special offer, you can find all the special offers in Cumbria. It's always worth checking to see what is on offer at the moment. 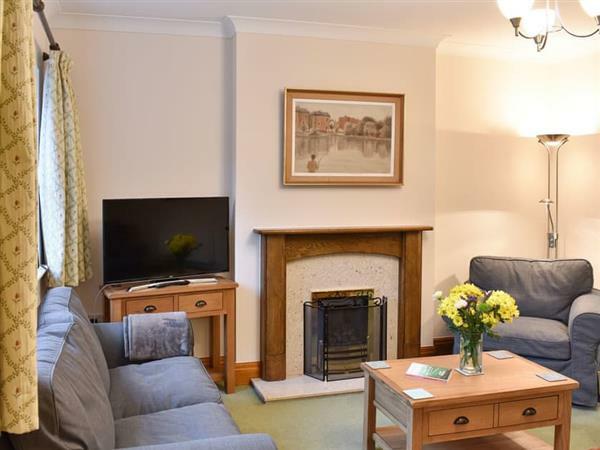 Do you want to holiday near Rowan Court (UK10624), you can see other cottages within 25 miles of Rowan Court; have a look to find your perfect holiday location.